Lieutenant Telsij of Return of the Jedi is one of just a handful of Asian characters in the Star Wars film series. “There’s … too many of them,” a Y-wing pilot says as Imperial ships overwhelm the Rebel fleet in the climactic space battle in Return of the Jedi. This scene is important because we’ve just learned that the Rebels have been lured to the forest moon Endor by the Emperor — it’s a trap! It’s also important for another reason: This is the first line spoken by an Asian character in the original Star Wars movies. 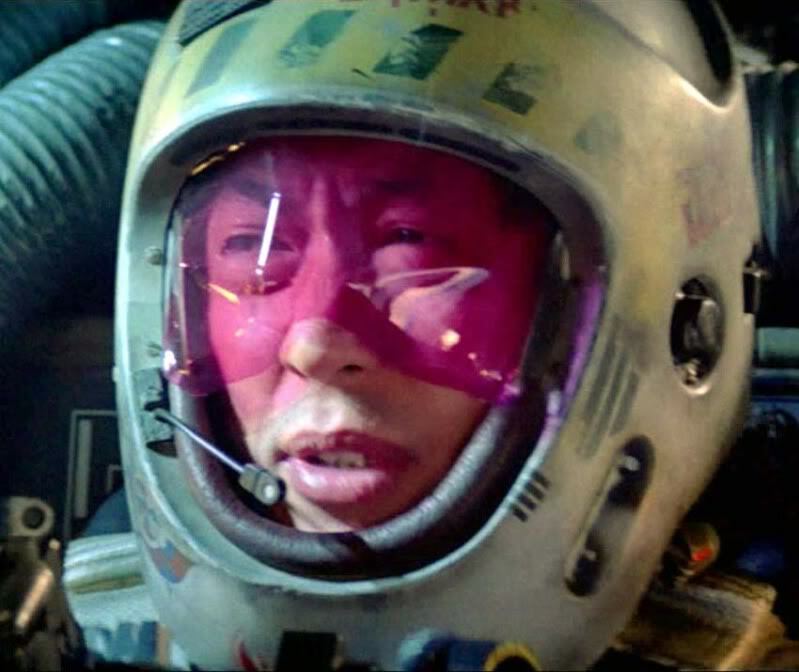 So who is this Asian Rebel pilot? As it turns out, that’s kind of complicated. First off, the role is uncredited, and while there are assorted Rebel pilots listed in the cast, none fits the description. For Star Wars knowledge this obscure, one must consult Leland Chee of Lucasfilm. The Asian pilot we’re looking for was made into a toy in 1999. Well, sort of. This is exactly the sort of mistake Chee and his comrades on the Lucasfilm Story Group are now responsible for preventing. Peering deeper into the Holocron — the FileMaker database is actually “not that complex,” Chee says — he’s able to search it while talking on the phone with a reporter. That yields a better answer: Lieutenant Telsij. The name Lieutenant Telsij first appears in a card game set released by Decipher in the year 2000. Like many minor characters, Telsij didn’t get his name until after the fact. In this case, about 17 years after the fact. So who played Telsij in the movie? Chee asked J.W. Rinzler, author of The Making of Star Wars: Return of the Jedi, to send him the call sheets for the Y-wing cockpit shots. 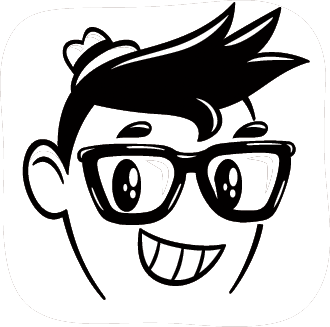 Those include three names: Eiji Kusuhara, Timothy Sinclair and Erroll Shaker. That second pilot — the one who cries out, “I’m hit!” — is Ekelarc Yong. His name comes from an action figure released by Hasbro. He has a bat on his helmet and flew under the call sign Gray Three. Maybe they weren’t intended to be two different guys. Maybe the Ekelarc Yong character is the result of a continuity error. So it’s at least conceivable that the same actor, possibly Kusuhara, could have accidentally donned a different helmet in subsequent takes. Watching the film, it’s difficult to tell whether there are two different actors — the pilot is grimacing in the second clip, and the explosion begins almost immediately, obscuring his face. Neither Chee nor Rinzler was able to find the name of the voice actor who seemingly provides the voice for both. So we’ll probably never know. But two helmets means two action figures, and that means two pilots. 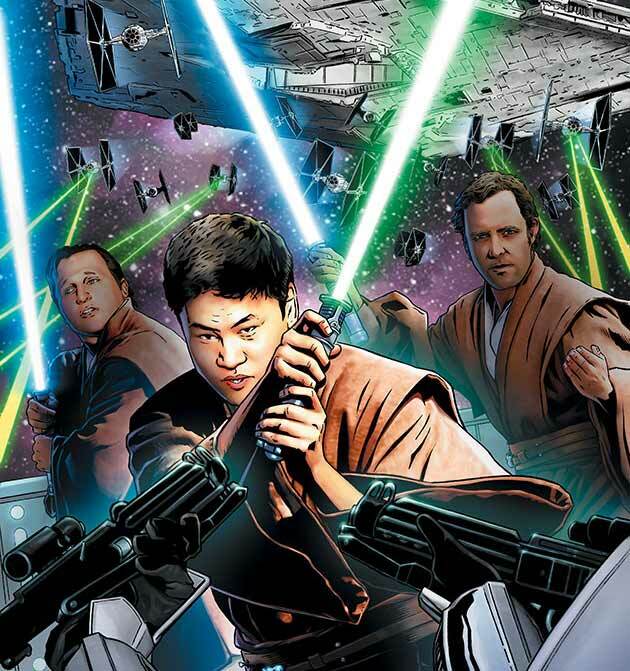 Elsewhere in the Star Wars universe, there are more Asian characters than there might appear to be at first glance, though Telsij and Yong are the only ones who speak. Some have names, some don’t. Then there’s the Jedi known as Selig Kenjenn. 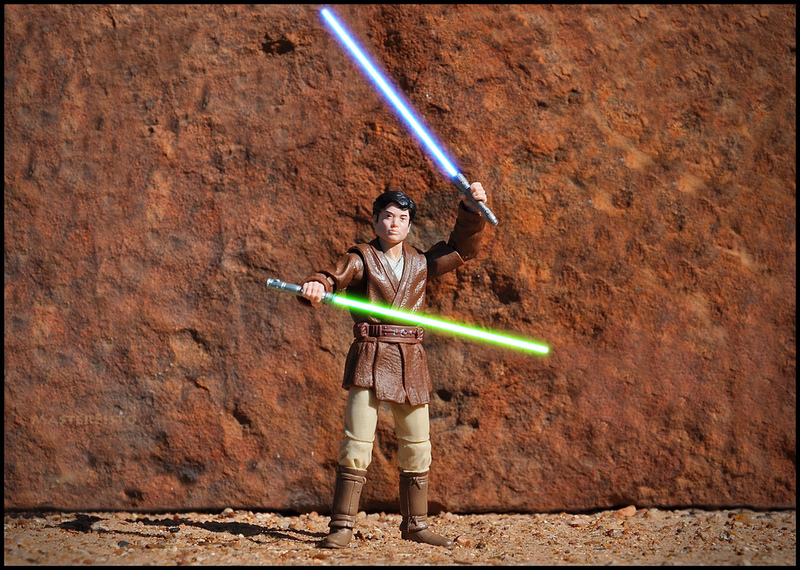 Chee says he provided photo reference for the character, who was “offscreen at the battle of Geonosis,” and that the idea for the action figure might have come from an illustration that accompanied a Wired story about Chee, which depicted him as a Jedi. So does the name carry some special significance? Whatever the case, the relative dearth of Asian characters remains. 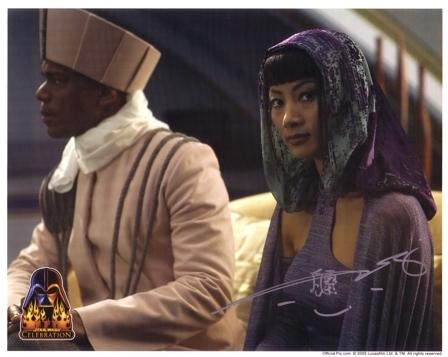 Beyond the classic trilogy, there’s the Chinese-born actor Bai Ling as Senator Bana Breemu, but her scenes were cut from Episode II. And there’s a Jedi woman named Bultar Swan. Hopefully, indeed. Christina Chong has reportedly filmed her scenes already, so can the Holocron Keeper say anything about her role in the forthcoming J.J. Abrams-directed sequel? This entry was posted in Books, Cosplay, Film, History, Interviews, Links, Musings, Photo, Style and tagged action figure, Asian, Asian actors, Asian actress, Asian American, Asian American actors, Asian American actress, Asian Rebel pilot, Bai Ling, Chinese, Chinese actress, Christina Chong, collectible, Eiji Kusuhara, Film, Holocron, Leland Chee, Lieutenant Telsij, Lucasfilm, Lucasfilm Story Group, Return of the Jedi, Senator Bana Breemu, Star Wars, Star Wars Episode VII, Star Wars facts, Star Wars trivia, The Making of Star Wars: Return of the Jedi, toy, X-wing, Y-wing. Bookmark the permalink.